Most of the good things that have happened in my life were only made possible because of my optimal health and strong body. However, I certainly did not start out that way. Unlike Arnold Whatzizname…I was the proverbial 97-pound (44 kg) weakling. As a young boy I was very often sick and I was much too weak to compete in my chosen sports. However, when I looked around, the strongest athletes all exercised with weights. It just didn’t make sense to me, even as young as I was, so I ignored all the “experts” of the day and started on my own quest for strength, success in my chosen sport, and maybe, with a little luck, some shapely muscle as well. What a great legacy for these pioneers of physical culture, that an amazing number of assumptions and theories…born out of pure experience in those early days…are still valid, and have been only slightly refined during the past sixty-plus years. Interestingly, many of these men and women are still exercising with the old tried and true (but now improved) methods, still look great, and are still living happy, active and productive lives. They are living proof that these methods are timeless…and definitely the way to go! In contrast, we will see if Pole-Dance Fitness, Belly-Dance Aerobics (How many toned belly-dancers have you ever seen? ), Twerk-Shop Workout, 50 Shades of Grey Workout, Surf Aerobics, BUTI Fitness, WERQ, Caveman Workout, Barre Brawl, Ropes Training, Strip Aerobics (my personal favorite), Magic Ultimate Ab Machines, Special Forces Commando Full-Body Underwater Booty Insanity Survival Workouts, etc., etc., are still around after the initial novelty wears off. Remember Drum Fitness, or Prancercise…or The Baby Dynamics Workout (swinging your baby around instead of weights…really!!! ), Karaoke Yoga, or The (now infamous) Shake Weight Workouts? How about those “Toning Shoes” too? How did they work for you? Using this little bit of knowledge…and a lot of trial and error…I eventually built myself up to a respectably muscular 142 pounds (64.5 kg), at a height of 5’6” (167.5 cm). After my college competitive gymnastic days were over, I beered myself up from my competition weight of 137 pounds (62 kg) to an impressive(?) 162 pounds (73.5 kg) – a gain of 25 pounds (11.5 kg) of not-so-pretty blubber – which is really a lot on a 5’6” frame. Then I decided to give the Olympic team another try. 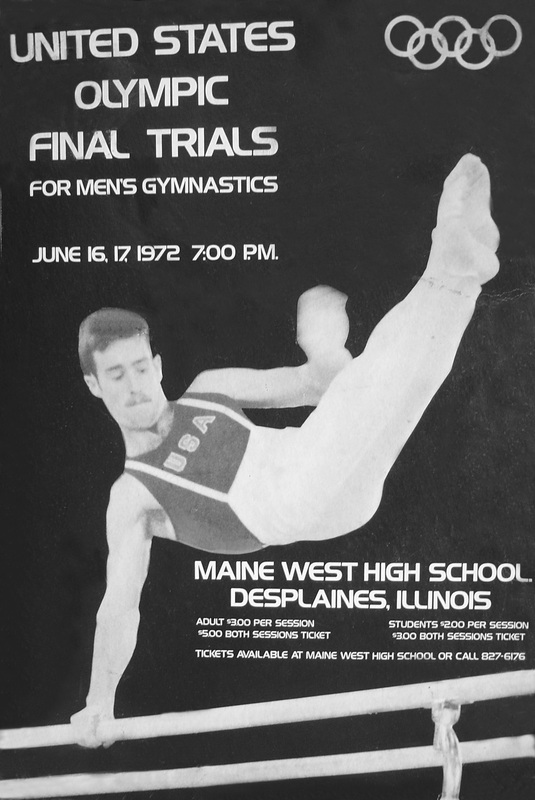 I put my knowledge back to work, designed an exercise and nutrition program for myself and, at the 1972 final Olympic trials several months later, I competed at a weight of 117.5 pounds (53.5 kg) – a loss of 45 pounds (20.5 kg), or more than 37% of my total body-weight. A small amount of that weight was also muscle, but that was calculated. I wanted to be as light as possible, without losing any strength. I succeeded here as well because I was the strongest (with my own body-weight) that I had ever been in my entire life. Just to test my personal limits, I later built myself up to 176 rock-hard, muscular, fat-free pounds (80 kg). So, with knowledge, a good plan and hard work, I have been able to manipulate my own muscular body-weight by 58.5 pounds (26.5 kg) at 5’6” (167 cm) during my adult life. That doesn’t just happen by accident. I now maintain my muscular weight at ±150 pounds (±68 kg). I do not teach traditional aerobics and I do not offer advice about Steps, Tai-Bo, Jazzercise, Hip-Hop/Funk, Boot Camps, Zumba…or any of the other forms of aerobic ‘exercise’…because I am not certified, qualified, or competent to do so. I only say that these are wonderful “exercise activities” which can be valuable additions to a Quality Exercise program. However, aerobics for losing excess body fat is a completely different matter. Here I do know what I am talking about, and ditto for teaching efficient and effective cardiovascular conditioning for health purposes. Most people are just wasting way too much time and energy by relying on these more traditional forms of aerobics to gain control of, and then manage their body fat…or to get in, and then stay in good cardiovascular condition. 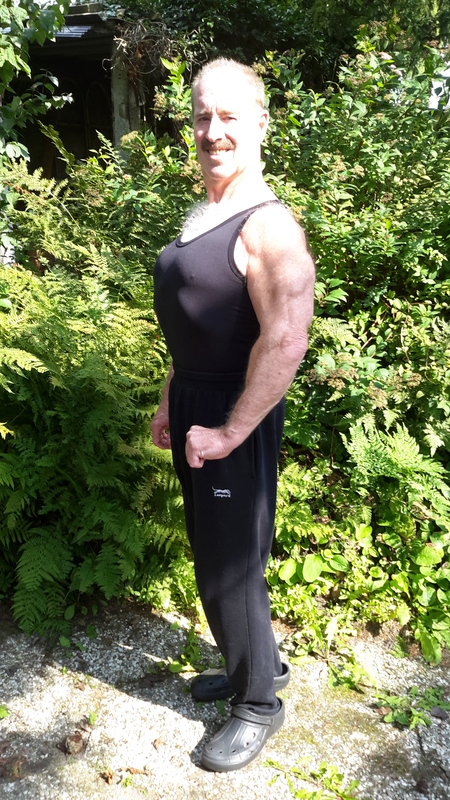 It is a sad sign of our times that I have to say here that I lost my excess body fat without the use of stupid diets or diet pills, and I built the muscle without using steroids or any other type of muscle enhancing pharmaceuticals. An inquisitive mind, knowledge, logic, common sense and hard work were…and remain…my only tools. They can work just as well for you too. I am definitely not one of those goody-goody, never smoked, never touched alcohol, just love to punish my body with hours of exercise every day, can’t wait to wake up and run 5 miles in minus 10˚ weather, exercise freaks. At certain times in my life I have consumed too much alcohol. I have smoked cigarettes, I have lived on fast-food and, although I always loved practicing my chosen sports, I have always hated to exercise. And no…sports and Quality Exercise are not the same things. This history gives me a unique insight, as well as a more realistic outlook, when it comes to exercise and nutrition for non-fanatic exercisers and people like me who just don’t like to exercise. Combined with my education, sports background, and 5 decades of personal experience with exercise and nutrition, this enables me to quickly and accurately determine which programs and advice have possibilities, which ones are using pseudo-science, and which ones are just pure crap. Add to this the fact that I have been writing successful exercise and nutrition programs for every level of exerciser for 50+ years now and you will have a difficult time finding someone with more years of hands-on experience than I have. At 68 years young, I still have all my original parts, take no medications at all, have a resting pulse of ±60, blood pressure of ±110/70, and can take part in any physical activity I desire. Now…how about you? How are you doing? And now the time has come for me to share all my years of study and experience with others! So Let Me Exercise You! I have successfully done what you are attempting to do. Here is some more information about my education, experience and qualifications. Before specializing in gymnastics, I was an age-group champion in 5 different sports. I was not more talented than many of the athletes that I defeated in competitions. But I was way ahead of them when it came to scientific training and performance nutrition. I was successfully using weights to build strength for my chosen sports some twenty years before “resistance exercise” even began to become accepted by most coaches and other “experts” of the time. 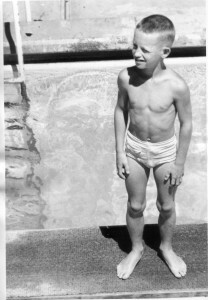 I was also successfully using performance-enhancing diets and crude nutritional supplements fifty years ago. These two factors were instrumental in my transformation from a somewhat talented, but physically weak, athlete into an Olympian known for my strength. I began seriously helping other people with exercise and nutrition when I was about seventeen years old. 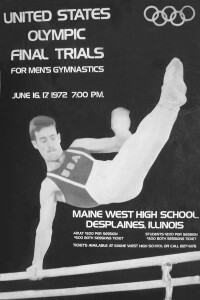 In addition to the many gymnasts I helped to coach over the years, I have also worked with athletes in many other sports, plus acrobats, trapeze artists, dancers, martial artists, members of police and military commando forces, fitness professionals, physical therapists, doctors, All-Americans, National Champions, European Champions, World Champions…and many “normal” people as well. My wife and I have done hundreds of nutritional analyses for athletes and serious exercisers. I also helped to formulate a couple of nutritional supplement products specifically for these two groups of people. 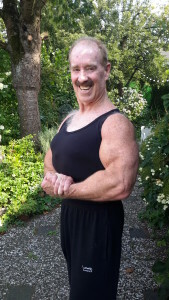 Besides my 5 star-rated book, Cut Thru The Crap of Exercise and Fat-Loss Nutrition, I have written articles on performance nutrition for Belgian, Dutch, German, and American martial arts magazines and I have also contributed to a German book on the health and fitness possibilities of exercising on mini-trampolines. 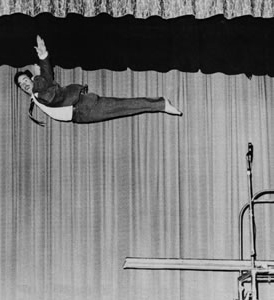 For more than thirty years I performed a comedy acrobatic act, which I learned from the great Larry Griswold, also a former University of Iowa gymnast. 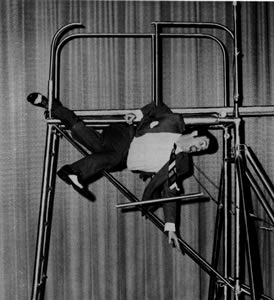 I finally retired as a professional acrobat in 2005. I now perform visual comedy acts with my companion, best friend, and personal sports massage therapist…my wife of 30 years, Anoushka…that is, we have been together for 30 years. She is not 30 years old! 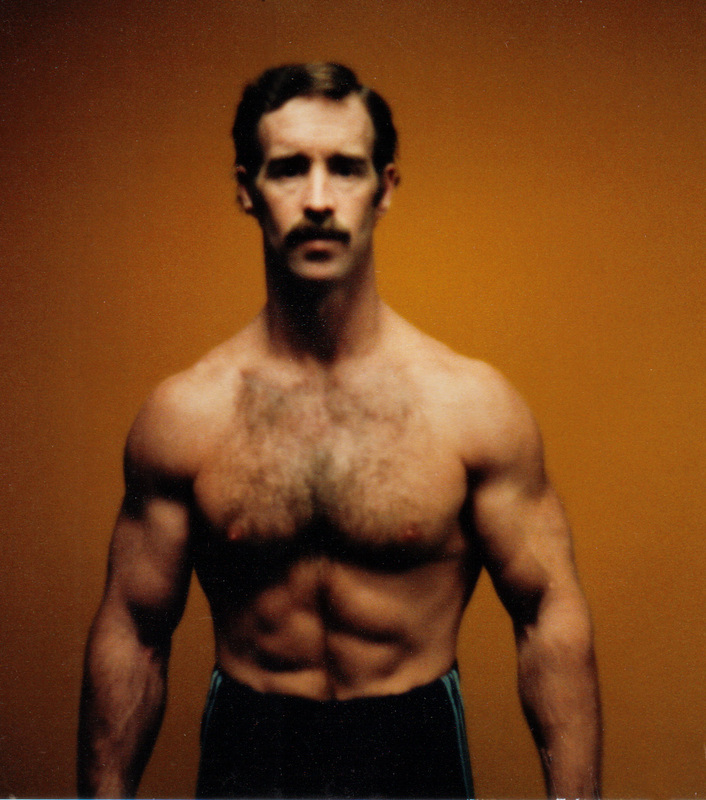 I still do some personal training, occasionally give seminars, and I continue to study and write about Quality Exercise, Health-Building Nutrition, and the attainment of Superior Health.